The HDGrabberX-RGB/STANAG is a high-performance, high definition, raw video frame grabber on a single PCIe/104 card. The HDGrabberX-RGB/STANAG provides a powerful and flexible solution for capturing HD analog RGB video for local system display or software analysis and processing. 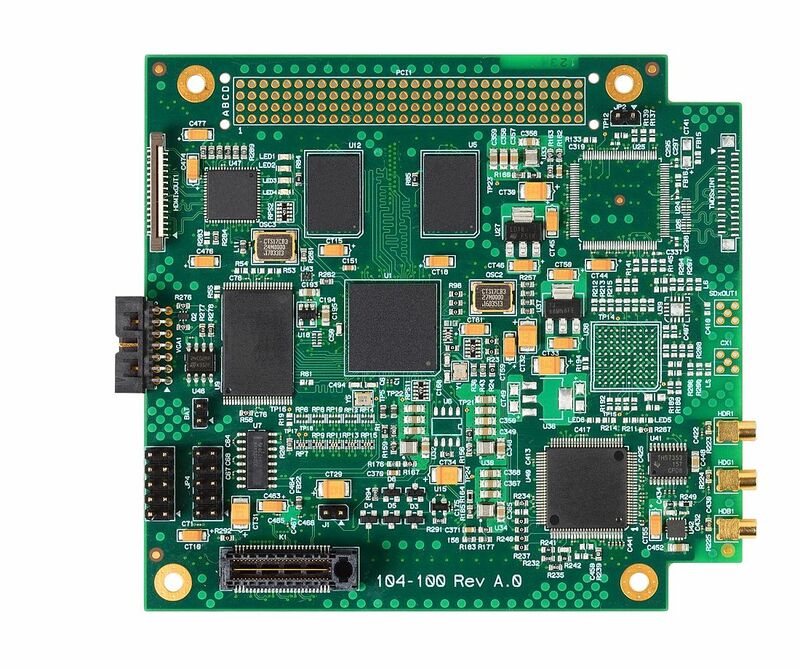 The PCIe/104 module is ideal for demanding applications in Transportation, Military, Communications and Energy industries. The HDGrabberX-RGB/STANAG supports real-time video capture at up to 1080p30 from VGA, RGsB (sync on green) and STANAG3350 sources. The flexible capture engine supports other common HD resolutions allowing data to be captured from a wide range of sources and sensors. The captured video data can be streamed continuously to system memory or disk for either immediate local display or further processing. The HDGrabberX-RGB/STANAG is supported by drivers and example applications for Windows and Linux.